Source: Ilias Bantekas, “The Metaphysics of Temptation in Eastern Orthodox Monasticism“, Theandros, 4(2), 2006/2007. Despite its unfamiliarity as a term, ‘gnomic will’ is the perhaps the more experientially familiar. This is our ordinary will in the fallen state. Thus, in a sense, what St. Maximus calls “‘natural will” might be thought of as a supernatural will or divinely inspired will, and what he calls “‘gnomic will” might actually be considered the ‘natural’ (i.e., more associated with our usual, fallen nature) will. The main point is that Jesus Christ’s temptation in Gesthemane corresponds to a continuing existential struggle and choice of ours: to follow either false reasonings and false will, or to exercise the true (natural), God-led will, and thereby to act in the way God wishes, the former producing unhappiness and the latter leading to the Kingdom of Heaven — in our souls and in the world. A fine point invites further attention: may it properly be said that we exercise our natural will, or is it exclusively God who exercises it? That is, are we merely passive bystanders when our natural will operates? This seems like a very relevant question, even at first it might seem like something that smacks of excessive scholasticism. At stake here are fundamental ideas about personal individuality. There is no need to pursue this topic here — it’s enough simply to mention it. Let it suffice to suggest that we should not make any limiting assumptions in this regard. It is entirely possible — if not experientially self-evident — that natural will may be a joint activity of personal and Divine action. Although the power of natural will — and certainly it’s direction, may come ultimately from God, nevertheless there seems a definite sense in which it is our will: our doing, making, intending, or effort. It does appear that we are contributing or committing something of ourselves. Having gone this far into the subject of Gethsemane we may add a little more. The struggle associated with the choice between following gnomic will and natural will is so basic to the human condition that we would expect to find it repeatedly, and perhaps centrally, addressed in the Bible. And, indeed, the entire story of the fall of Adam and Eve may be understand precisely in these terms. The Fall itself corresponds to Adam and Eve choosing gnomic will over natural will. 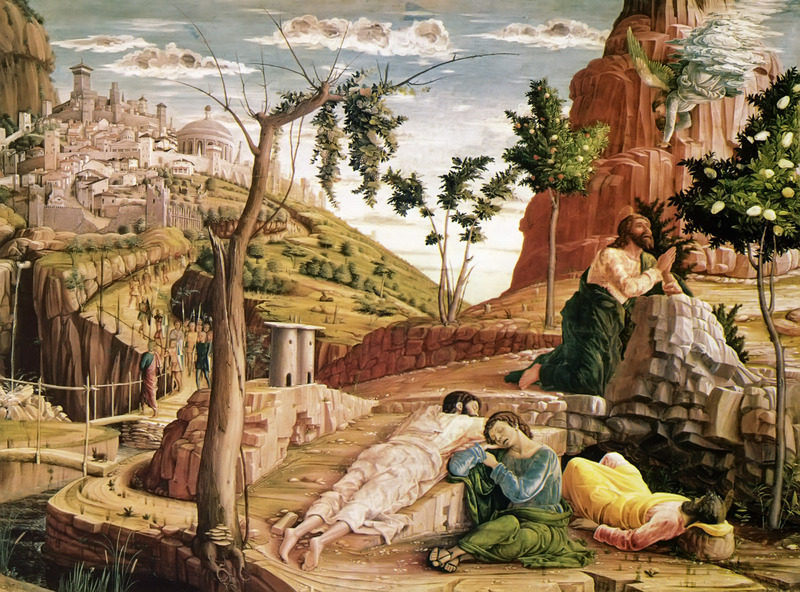 The events of Gethsemane, and the subsequent passion, crucifixion and death (and resurrection) correspond to a reversal of Adam’s primal sin, and, in a sense, a restoration of what was lost. What was lost in a garden is corrected in a garden. The Greek word for ghost here is pneuma, or spirit, so one might understand this as corresponding to the relinquishing of control (“giving up”) of the spirit, letting thereby the spirit guide and energize our will and actions. This is a magnificent psalm. Here an interpretation is offered following depth-psychological framework developed in several of these posts. 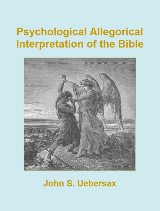 To begin, we recall a primary principle of depth-psychological exegesis: that every element in the scripture corresponds to some element of the self, psyche, or personality. The king is the personality after salvation is attained. This is attested to by (1) our earlier understanding of what the Kingdom of Heaven implies, by (2) associations with the idea of a philosopher king in Plato’s Republic, and (3) the symbolism of the king in Alchemical writings and iconography. give the king’s son your righteousness. Here is something new. There is both a king and a king’s son! What the king’s son is not clear. One might thing this is the Christ Archetype. However, it seems more likely that the king is the Christ Archetype; that is because, above, a distinction was made between the king and God. However, we are not dealing with literal logic here, and perhaps, in some sense, the king and the king’s son refer to the same entity. Is it the king or the king’s son who judges? Since it is the king’s son who receives righteousness (a quality associated with justice), this suggests that the king’s son is referred to. As the distinction between king and king’s son is not maintained in the psalm, we shall provisionally assume that these are, basically, two facets or functions of the same entity. As repeatedly mentioned in these posts, the psyche or self includes components or facets that can be likened to peoples, nations, tribes, etc. and your poor ones with wisdom. Some of these ‘people’ are poor. These would correspond to neglected or suffering parts of the total person. In a sense, this also refers to the empirical ego –( i.e., you, the reader, as you see yourself) — because it is the suffering ego that is drawn to the psalms and seeks salvation. What are the mountains? This is something perhaps for future consideration. let the hills bring righteousness. he will lay low the false accuser. The false accuser is our primary adversary and source of negative thoughts. Related to doubt, anxiety, fear. This is to the Christ Archetype what King Herod is to the infant Jesus. Sun and moon here surely have iconic significance — relating to the solar and lunar aspects of the psyche. Much has already been written about this. Our personality/ego continually changes. These ‘versions’ might be likened to generations. As in the form of grace. like a shower that waters the earth. until the moon itself is no more. from the world’s centre to its farthest edge. his enemies will eat dust at his feet. the kings of Arabia and Sheba will bring gifts. Potentially there is some significance to the specific references to kings of Tharsis, Arabia, Sheba, and the islands. In general we see reference to the same theme as the Adoration of the Magi. The Magi were kings, magicians, who came to prostrate themselves to Jesus Christ. This implies there are elements of our psyche or our personality — Magi analogs — which revere and subordinate themselves to the Christ Archetype. What are these Magi analogs? This is a worthy subject for speculation. We can say this much: the Magi are presented in the Bible as wise and noble. This implies there are wise and noble elements of our personality — let us suggest, perhaps, elements that, like the Christ Archetype, seek our integration and improvement, and accomplish good things towards that. But these eventually must see themselves as inferior and subordinate to the Christ Archetype. all nations will serve him. to the poor, whom no-one will hear. he will keep their lives safe. bless him all through the day. its fruit will be richer than Lebanon. The people will flourish as easily as grass. let his name endure beneath the sun. all nations will acclaim his greatness. let it fill all the earth. Amen, amen. To emphasize the special importance of this psalm, the author concludes with not one, but two Amens. Let it be! Let it be! 2 Speak tenderly to Jerusalem, and cry to her that her warfare is ended, that her iniquity is pardoned, that she has received from the LORD’s hand double for all her sins. 3 A voice cries: “In the wilderness prepare the way of the LORD, make straight in the desert a highway for our God. 8 But do not ignore this one fact, beloved, that with the Lord one day is as a thousand years, and a thousand years as one day. 9 The Lord is not slow about his promise as some count slowness, but is forbearing toward you, not wishing that any should perish, but that all should reach repentance. 10 But the day of the Lord will come like a thief, and then the heavens will pass away with a loud noise, and the elements will be dissolved with fire, and the earth and the works that are upon it will be burned up. 12 waiting for and hastening the coming of the day of God, because of which the heavens will be kindled and dissolved, and the elements will melt with fire! 13 But according to his promise we wait for new heavens and a new earth in which righteousness dwells. 14 Therefore, beloved, since you wait for these, be zealous to be found by him without spot or blemish, and at peace. 6 On this mountain the LORD of hosts will make for all peoples a feast of fat things, a feast of wine on the lees, of fat things full of marrow, of wine on the lees well refined. 7 And he will destroy on this mountain the covering that is cast over all peoples, the veil that is spread over all nations. 8 He will swallow up death for ever, and the Lord GOD will wipe away tears from all faces, and the reproach of his people he will take away from all the earth; for the LORD has spoken. 10 For the hand of the LORD will rest on this mountain, and Moab shall be trodden down in his place, as straw is trodden down in a dung-pit.